Hi there, I’ve just returned from a business trip to Genoa, Italy and took the Eton Satellit with me. Now, I’m sure many of you know from your own experiences that DXing from a noisy hotel room can be just about impossible – and so it was in the main. I did however manage to copy a very nice signal from BBC Radio 5 Live on 693 kHz medium wave and Chaîne 3, from Tipaza, Algeria on 252 kHz – the latter is a much more difficult catch back in the UK. Reception videos for these two signals also follow below and I have to say that given the very noisy environment, this was a pleasing result using the Eton’s internal ferrite antenna. Prior to my trip this week, I recorded a really nice signal from Radio Nacional Brasilia on 11780 kHz and the best signal from North Korea (Voice of Korea KCBS) I’ve ever copied on the 41 metre broadcast band. Both are testament to the Eton Satellit’s performance as an excellent portable reciever per se and it’s hard-core DXing capabilities. Finally, what now feels a very poignant recording, I managed to catch – ABC Northern Territories on 2325, 2485 and 4835 kHz during the same session and on one reception video. Embedded videos and text links to these videos on Oxford Shortwave Log follow below, along with a brief video review of the main functions and features of the Satellit. With regard to the closure of ABC on shortwave, my full support goes out Senator Nick Xeonophon and his quest to introduce new legislation to force the ABC to reinstate their shortwave transmissions. There, I’ve said it and that’s enough politics for now lol. 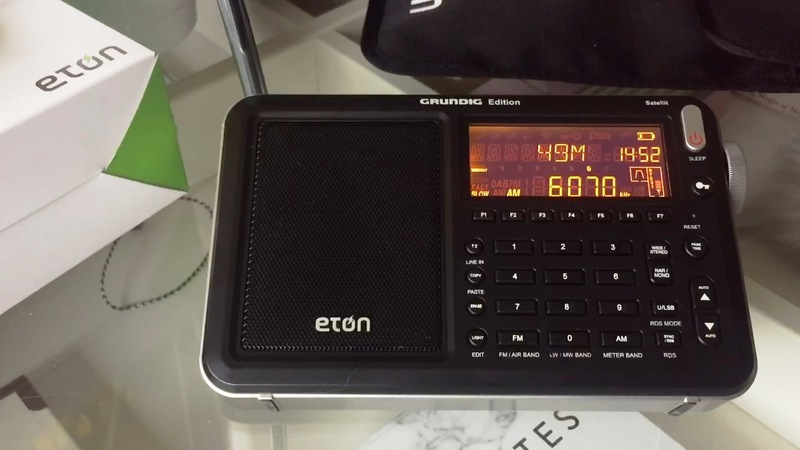 In the meantime, my plans to test the Eton Satellit against more established DXing portables remain in place and work commitments allowing, this should happen soon. Thanks for reading/watching/listening and I wish you all great DX! This entry was posted in AM, Antennas, Broadcasters, DXpeditions, International Broadcasting, Longwave, Manufacturers, Mediumwave, Portable Radio, QRM, Radios, Recordings, Reviews, Shortwave Radio, Shortwave Radio Reviews, Travel, Ultralight DX, Videos and tagged ABC Northern Territory Shortwave, Chaîne 3, DXpedition, Etón, Etón Satellit, Portable receiver, Radio 5 Live, Radio Nacional Brasilia, Radio review, Reception video, Shortwave portable, Voice of Korea on February 3, 2017 by Clint Gouveia. 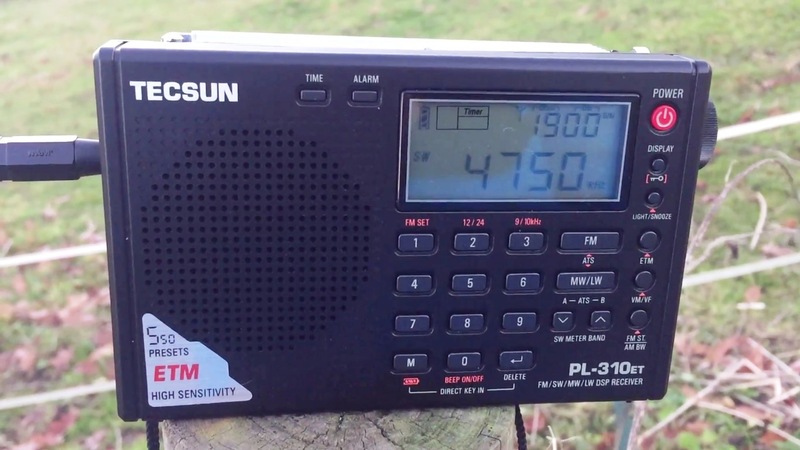 Hi there, here is part two of my original post containing various reception videos for the amazing Tecsun PL-310ET pocket shortwave receiver. I continue to be amazed at the sensitivity and selectivity of this rather modest and diminutive receiver, particularly at it’s price-point of around £40 in the UK and less elsewhere! Here is the second half of the reception videos, with some nice signals from Brazil, Guinea, Ethiopia, Swaziland and India. You might notice that some of these catches involve the use of a 240 metre (approx.) 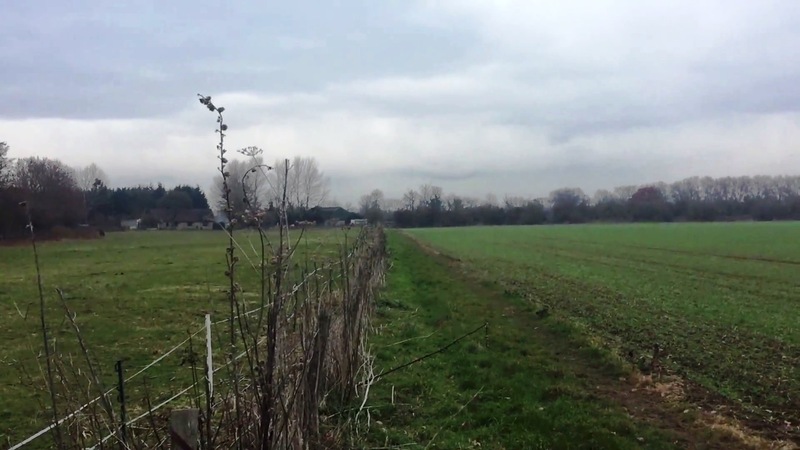 length of barbed wire fence! I’m not sure how beneficial the electrical properties of the fence were, probably somewhere between not great and not good lol, but some pretty decent DX was had with the PL-310ET attached to it via the external antenna socket and a crocodile clip! I hope you enjoy this set of reception videos, they certainly help to demonstrate the great performance of the PL-310ET and in addition of course, it’s ability to handle large antennas quite well. Embedded videos and text links follow below. Lastly, there are now approaching 1,200 reception videos on my YouTube channel Oxford Shortwave Log and I would like to take this additional opportunity to thank everyone for their support, friendship and advice. In the meantime, I wish you all a very Merry Christmas, a Happy New Year and excellent DX! 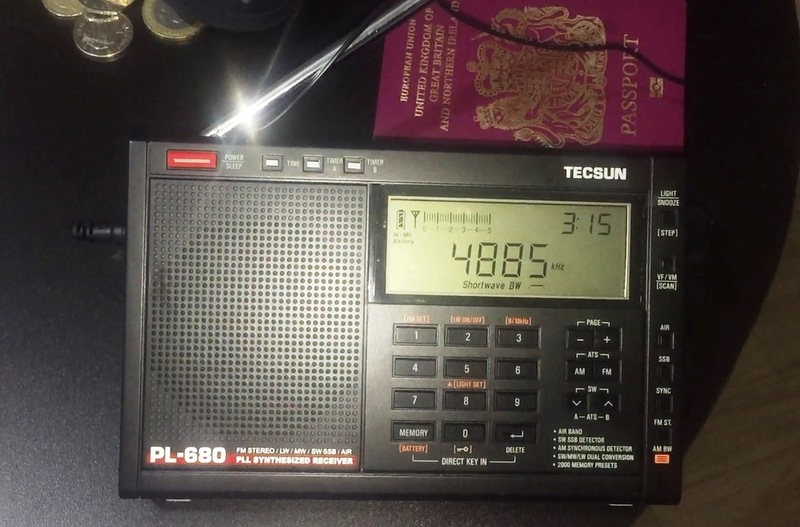 Tecsun PL-310ET: TWR Africa 9500 kHz, Manzini, Swaziland, wonderful reception! This entry was posted in Antennas, DXpeditions, Guest Posts, International Broadcasting, Portable Radio, QRM, Recordings, Shortwave Radio, Shortwave Radio Reviews, SWLers, Ultralight DX and tagged AIR, AIR Jeypore, All India Radio, Bangladesh Betar, DXpedition, Longwire, PL-310ET, Radio Fana, Radio Guinée Shortwave, Radio Nacional Brasilia, Radio Publique Africaine, shortwave, Shortwave DX, Shortwave portable, Tecsun, Tecsun PL-310ET, TWR Africa on December 19, 2016 by Clint Gouveia. 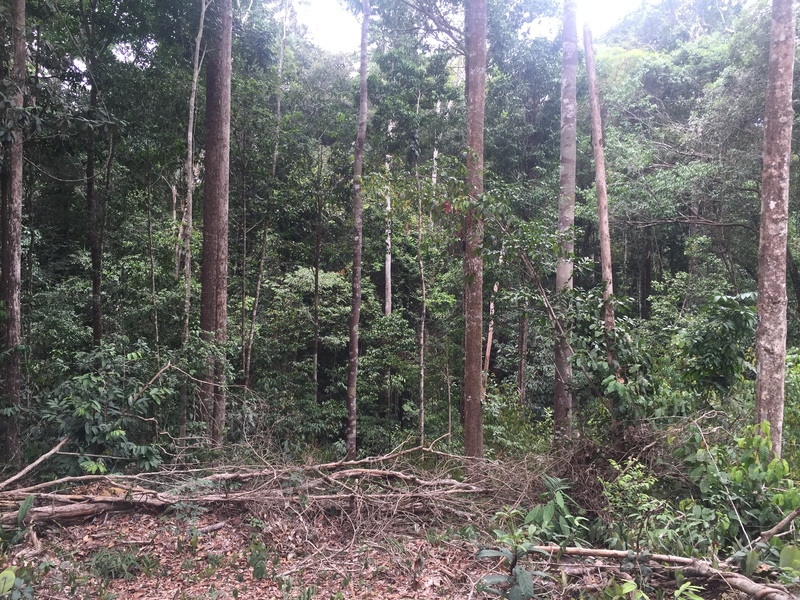 So, what can you hear in the jungle? Part 2 of my group of reception videos follow below – I hope you enjoy them. This entry was posted in AM, Antennas, Broadcasters, DXpeditions, International Broadcasting, Radios, Shortwave Radio, Travel and tagged Brazil, DXpedition, Overcomer Ministry, Pará, PL-680, Radio Aparecida, Radio Brazil Central, Radio Dabanga, Radio Miami International, Radio Nacional Brasilia, Radio Tamazuj, RMI, Tecsun, Tecsun PL-680, Voice of Turkey on November 6, 2016 by Clint Gouveia.